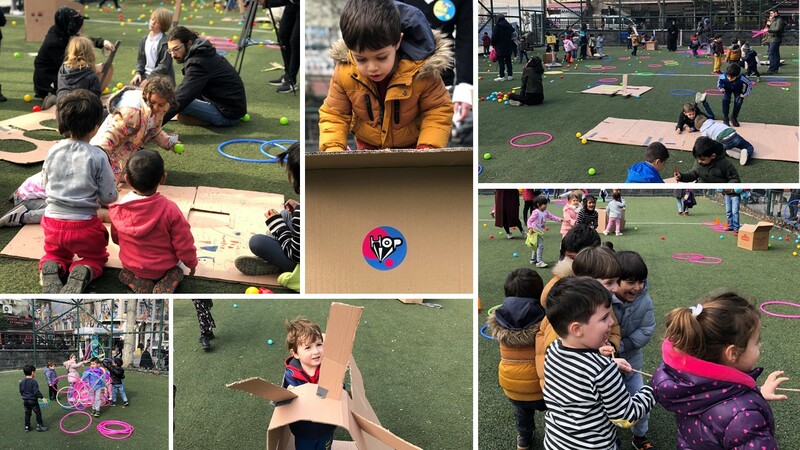 As part of our Urban95 work in Istanbul, a team from the architecture practice Superpool organised two pop-up play events and a “stroller audit” in Sarıyer and Beyoglu districts. Deputy mayors and managers from the municipalities took part, as did home visit providers. The pop-up play events took place on a football pitch in Tophane, Beyoglu, close to two day care centres. More than 50 young children and their caregivers, including fathers, heard about the relationship between play and brain development and talked about issues of safety. Students in Kadir Has University’s masters programme in urban design found it useful to develop their thinking about the relationship between play, brain development and the design and use of public space. 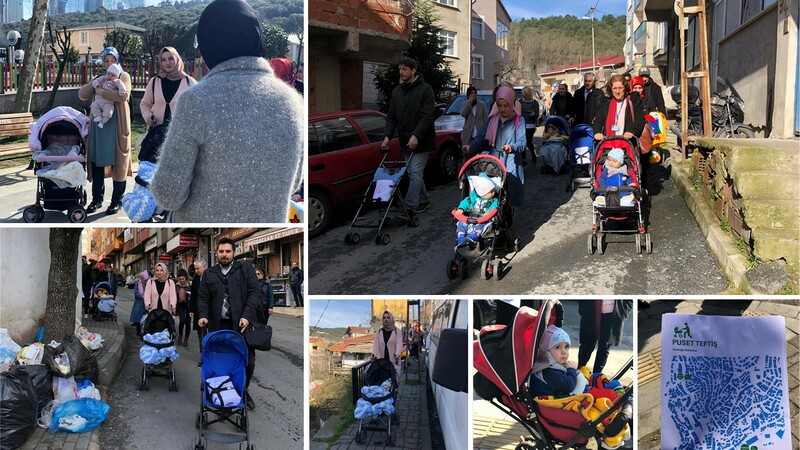 The stroller audit took a place in Ayazaga, the part of Sarıyer where most of the parents participating in the home visiting pilot programme live. The manager of the municipal Social Service Department and Deputy Mayor walked – with strollers – alongside the participating mothers down main streets and narrow side streets, and discussed with them afterwards what the experience had shown them about how caregivers with young children interact with public spaces. The Superpool team will organize similar events in our other Urban95 municipalities, Sultanbeyli and Maltepe.